Success at work can bring great joy. But we find true delight when we live our calling with passion and purpose—then, our success is truly blessed. When we live our calling, we can carry on through thick and thin, because we know that our work brings value to the lives of others and meaning and fulfillment to our own life. 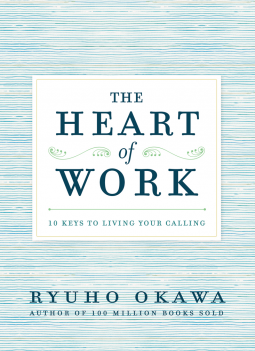 In The Heart of Work, Ryuho Okawa introduces 10 keys to blossoming into your calling and infusing value, purpose, and wholehearted devotion into the work of your dreams.